Located a few miles away from Moseley is the mystical world of Moseley Bog, a world belonging to Hobbits, Huorns and Ents. For those familiar with the delights of J.R.R. Tolkien, it is not surprising that this place inspired one of the greatest fantasy works in the English language; the towering trees of Moseley Bog clearly inspired the tree-like creatures of the Huorns and Ents and Bilbo Baggins would not look out of place in the dense forests surrounding the bog. 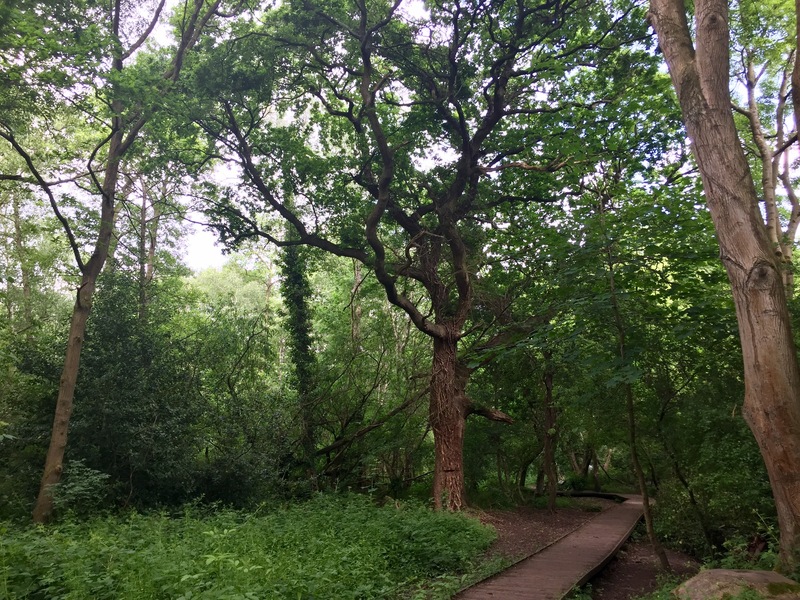 The enchanting woodland is only a few miles away from Tolkien's childhood home, and it's easy to see how the towering old oaks, twisted bowing trees and mysteriously gargling bog captivated the young Tolkien's imagination. Whether you're looking for fantastical monsters or noting how the speckled sunlight illuminates the beautiful grounds beneath the trees - it's an inspiring place for adults and children alike. I found that it is easy to lose yourself meandering along the boardwalk trial, hours can be spent exploring the various paths and reading the very interesting information boards. Occasionally, there are grassed enclaves which would be perfect for a picnic lunch or just a pitstop to take in the atmosphere. 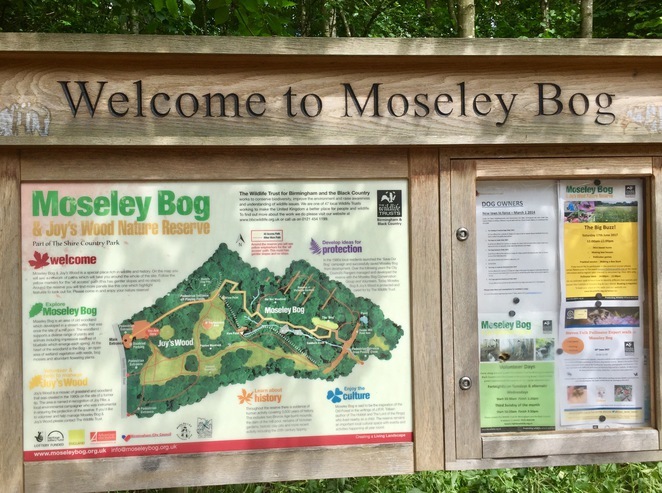 The boarded walk also makes Moseley bog a great place for a cycle ride or for those needing easy access for use chairs or wheelchairs. The boarded walk provides a clear path, making it a great place to let the kids run off steam in the forthcoming school summer holidays as well as making it a very popular route with dog walkers. 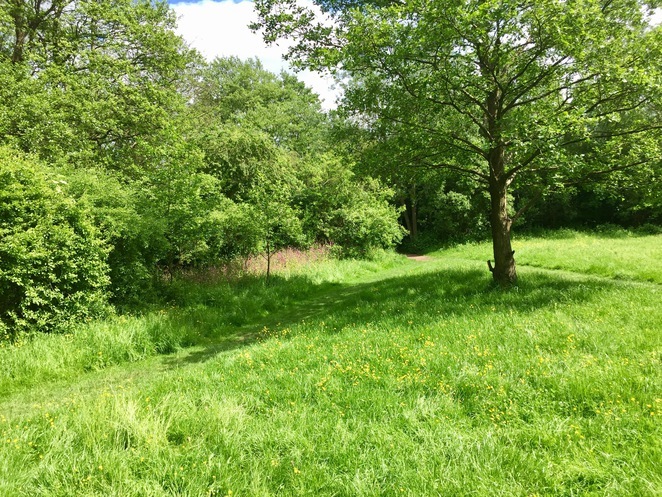 The carpark to Moseley Bog is very small, but there are excellent transport links with the bus stop being only a short distance from the entrance. If you must come by car there are lots of parking opportunities available in the neighbouring Moseley which is only a short walk away. There is also the opportunity to expand your Tolkienian adventure (which I'd definitely recommend). Moseley bog is only a short walk (15 minutes) away from Sarehole Mill, which supposedly was the inspiration for the famous Shire in both The Hobbit and Lord of The Rings. Its redevelopment in 2012 has led to it being a standout point on the Tolkien's trail. More information about this trail can be found on the Birmingham museum's website.